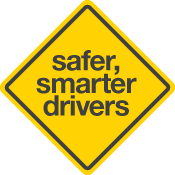 (b) The learner will be able to turn the vehicle around competently and safely within the confines of the carriageway of a road without the need for reversing while maintaining full control of the vehicle. (a) Stop at the kerb in accordance with Task 4, steps 1(a) to 6(a). (b) When safe, accelerate smoothly away without over-steering (avoiding a 'Question Mark' turn) while maintaining full control of the vehicle.